Newsletter update with design concept (305 KB .pdf file). 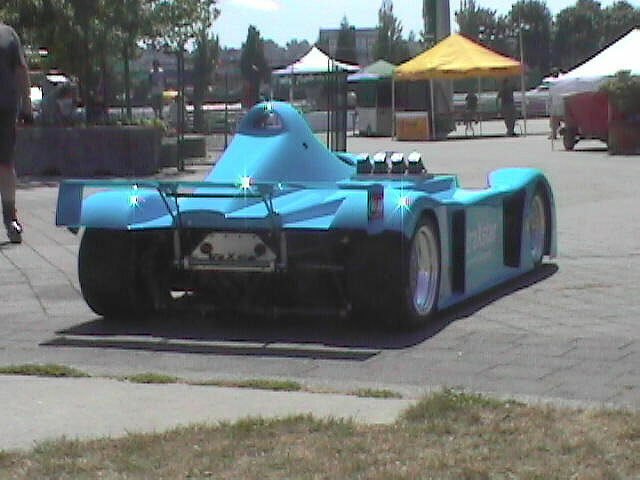 The tX-1 debuted at the Molson Indy Vancouver July 26-28, 2002. The photos on the right are from that time period. The tX-1 introductory letter (70 KB Word file). Peter Derviller reported, "Our new car is progressing and we are now building the bodyshell buck but it's not ready to be photographed yet." 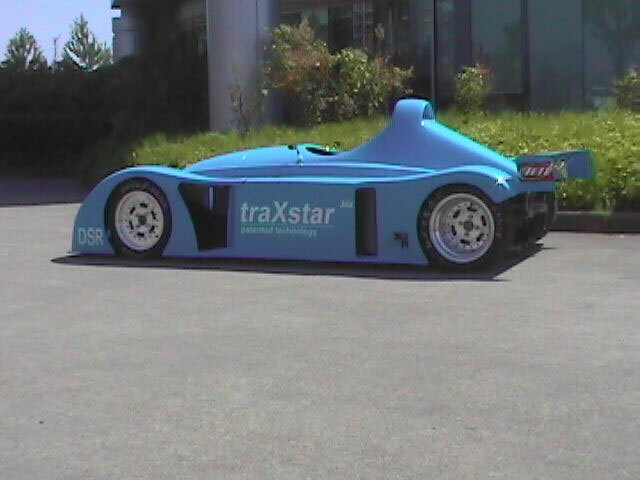 Derviller says the new traXstar tX.1 is built around his patented mid-engine layout and incorporates many of the principles that were explored in the team's earlier C.90 and the t.94 concept prototypes. The t.94A, B, C and D cars that ran from 1994 to 1997 are illustrated on page 3. 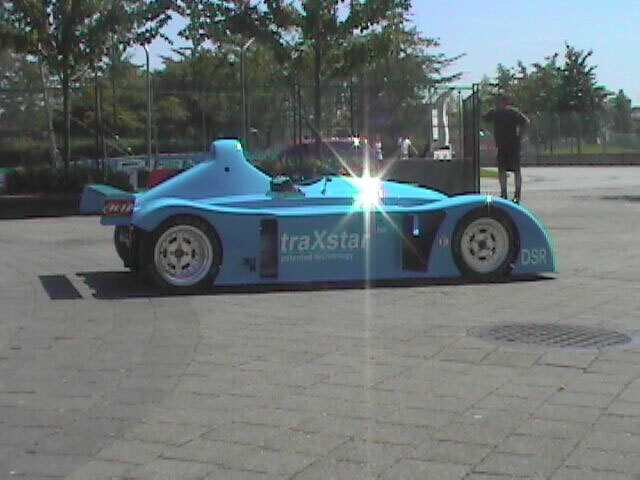 The innovative traXstar tX.1 owes very little to superlight sports racing car design trends from either side of the Atlantic. 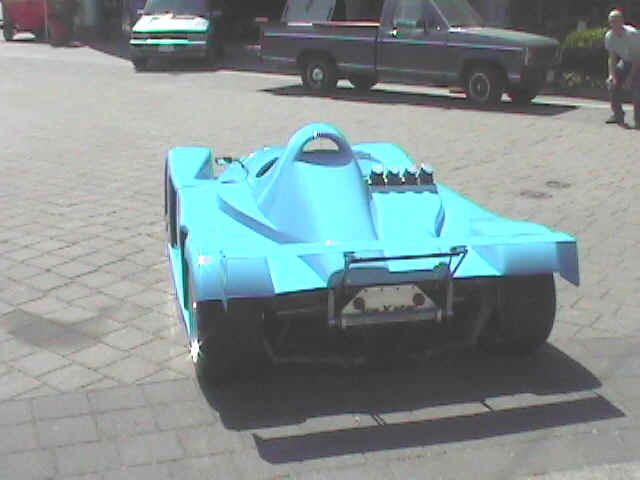 It's design weight is 750 lbs (340kg) and - based on the performance of the 850lb. 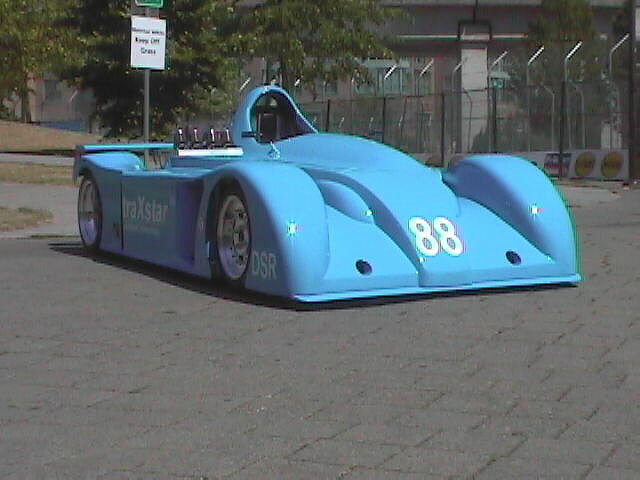 t.94 car - it has a projected top speed on a road circuit straightaway (not 2 miles of airport runway!) of 160mph (267kph). 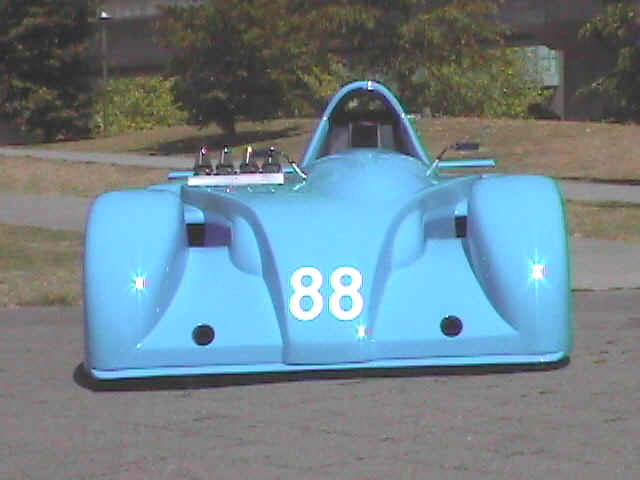 Engineering work included windtunnel testing, suspension computer modeling, CAD/CAM, and FEA. 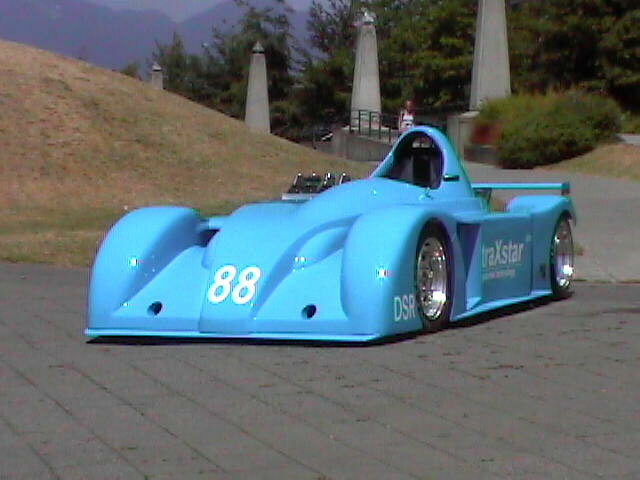 The car is entirely 3D modeled in SolidWorks and a variety of native and supplementary FEA tools were used. Torsional stiffness is in the region of 10,000 ft.lbs/degree and the chassis features substantial rollover and perimeter protection for the driver. 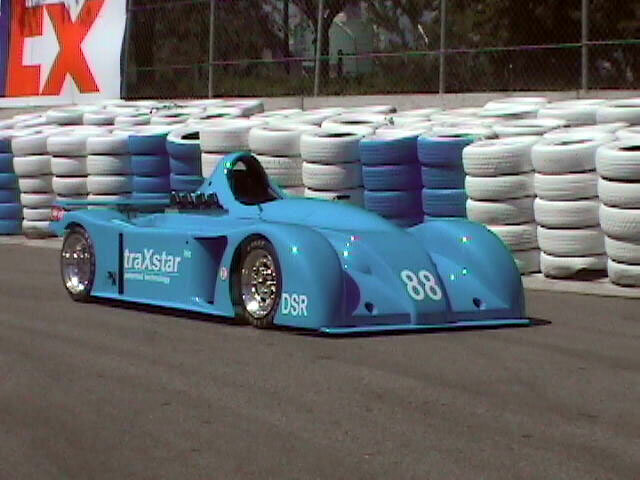 Derviller is reluctant to specify the tX.1's rollout date, because the team has made speed of fabrication secondary to the quality of the car and its supporting documentation. 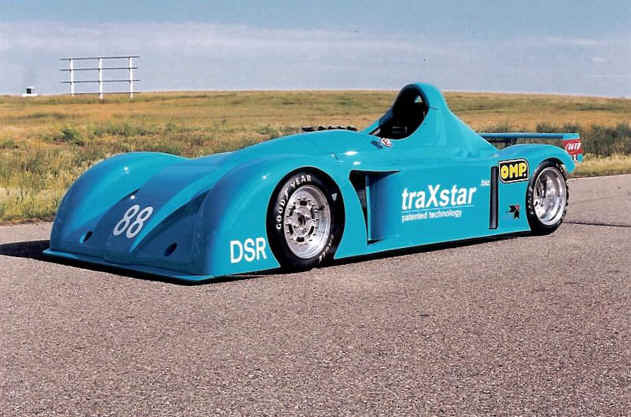 Following testing, the car will be campaigned in the Canadian "B Sports Racing" and US "D Sports Racing" classes, initially powered by both stock and race prepared FZR1000 engines.